Hundreds of people, lots tables and too many water bottles everywhere and a wall of noise; immediate view as you enter the UWE Sports Hall for the Bristol GP. Karina Le Fevre and Gavin Rumgay came out on top but this weekend in the premier events but it was a success for everyone involved with a record number of entries. It was also great to witness Rumgay, Scotland’s number one playing after his Commonwealth Games fame (Do the Rumgay, google it) and Wales number one Ryan Jenkins; competing in his first GP for the season. It was Ryan that impressed in the group stages with the Welshman barely dropping points. Carl Baldry put up a decent fight in his group against Rumgay only narrowly losing to the eventual winner. The premier events are open to all players so there were varying standards competing against some of the best players in the UK. On one table a game finished 22-20 with the winner going on to win 3-1 in fiercely heated game and this was early on the Sunday. Our tips for the tournament did very well on the day. Milwain lost out in the Quarter finals against the improving Yolanda King in the 5th with Milwain making a great come back from two down. King then had to face Le Fevre in the semi-finals which was a step too much for her on the day as Le Fevre was playing some great table tennis; progressing to the final against Emma Vickers. Vickers and Le Fevre played out a very attacking final with both women attacking well. It was Le Fevre that came out on top in each game though, although only just in a tight first game. Both players knew each other’s games inside out and this is now the 4th different women’s winner. Whilst in the men’s competition Doran breezed through the early rounds only to come up against Jenkins in the semi-finals. Jenkins took him all the way but Doran was just too strong for the Welshman in the end. This game set Doran up with another stern test against Rumgay in the final. It was always going to go to 5 sets as the two opponents were extremely evenly matched. However the Scot was stronger in the deciding set and took home his 25th GP title. Bribar Table Tennis were there at the event with their stall selling all types of different table tennis equipment and handing out the prizes at the end of each event. This is a fantastic opportunity for local players to get some expert advice on blades and rubbers along with a great range of clothing and shoes. So if you ever get the chance to go a GP in your home town then make sure you go and have a chat with them; its stuff you won’t find in the high street and at decent prices. 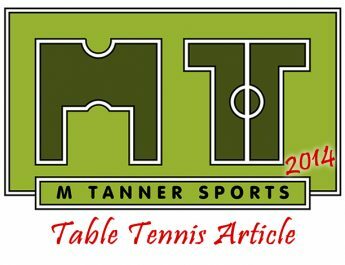 The GPs are based all over the UK with sellers at each one so at some point there will be top quality table tennis dealers in your nearest big city! 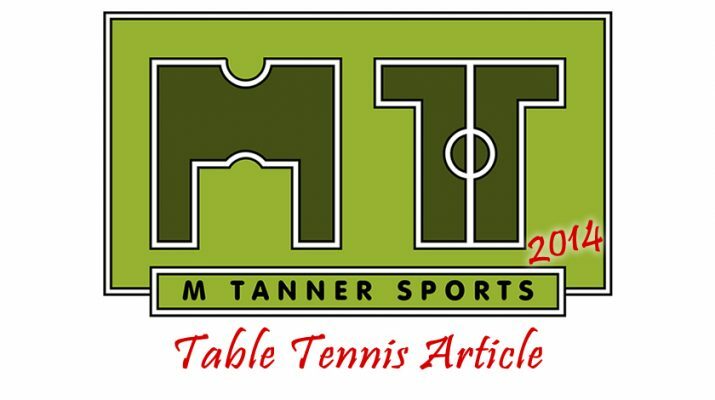 Make sure you check out Table Tennis England as well who have done a great write up with scores and quotes from the winners. It was great to be able to catch up with them again and hear about their plans for the future. The next GP is up in Nottingham on the 6th/7th Dec. It should be another great competition in a city that continues to develop and produce some great players’ year on year. We can’t get to this grand prix but if you’re going and fancy doing a write up for this site then get in touch!